Leanne Robinson unveils the new track ‘Heavy’ taken from her new EP ‘Exhibit B’, released in December 2013. 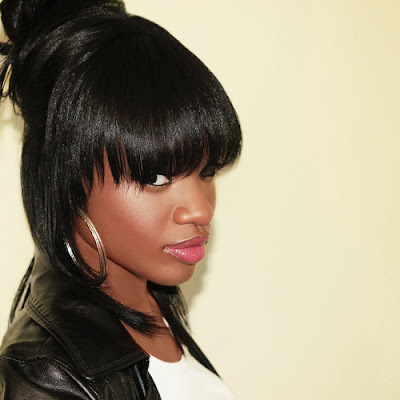 After making it through to judges houses in the 2012 series of The X Factor, singer Leanne released debut EP ‘Exhibit A’, and accumulated support from BBC Radio 1Xtra, Rinse FM and BBC London, as well as music awards show MOBO and London's Evening Standard. Leanne has performed at live music nights such as Ronnie Scotts, Music Week Breakout and Wired. She also recorded a popular SBTV A64 and picked up Record of the Day for her previous single ‘Harmony of Love’. ‘Exhibit B’ is released 1 December on ICM Entertainment. Leanne plays at The Bedford in London on 22 October - so be sure to check her out there. ‘Heavy’ is available for free download now.